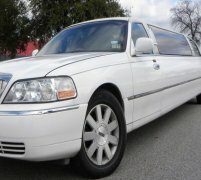 The Rolls Royce Phantom Drophead is certainly the most unique looking out of any of the Rolls Royce Phantoms in our wedding car hire fleet here at Limo Hire. 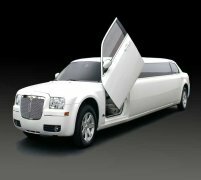 While it features all the same great luxury features inside that the other models of Rolls Royce Phantom do, including luxury leather seating, a champagne bar, and climate control, its maint difference is in the design of the vehicle. 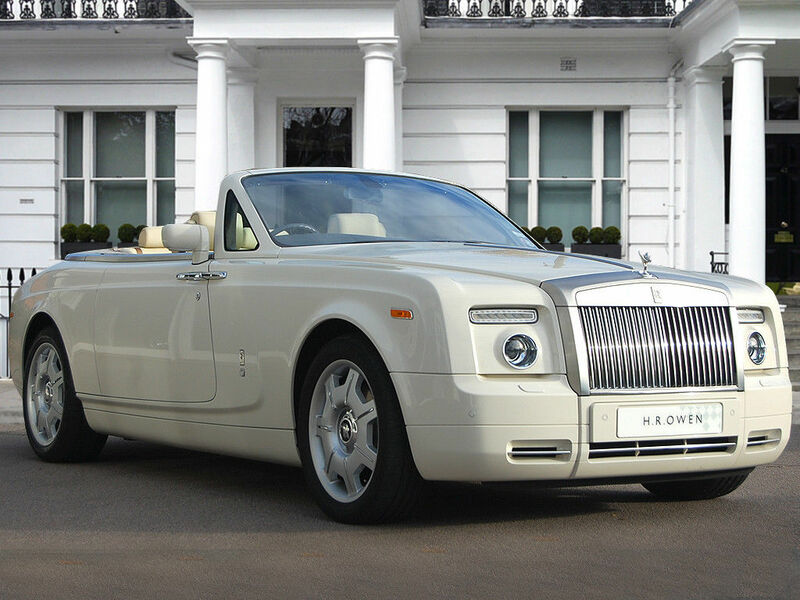 The best part about the Rolls Royce Phantom Drophead is that it is available as a convertible model too, so you can add some extra style to this already lavish wedding car hire vehicle. It is currently Rolls Royce's most expensive model of car to date, but thanks to our cheap Rolls Royce Phantom Drophead hire prices, you won't have to be a millionaire to experience the luxury of the Phantom Drophead! 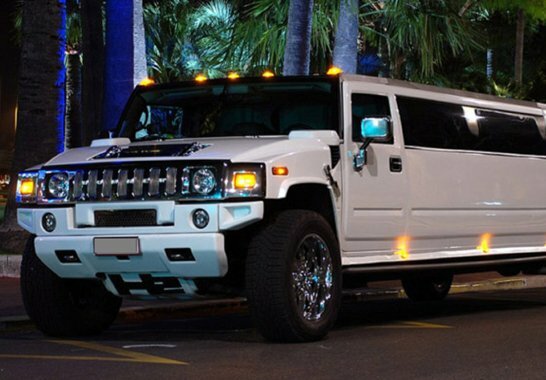 Call us today to make your free enquiry - these cars are incredibly sought after, so don't be disappointed on your wedding day! 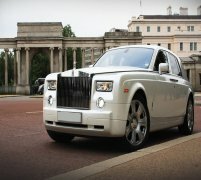 Feel free to check out the interior videos of the Rolls Royce Ghost. This video should give you an idea of how the car will feel on the inside.